Jordi Blanch studied at the School of Medicine of Barcelona, Spain, from 1986 to 1992. He specialized in Psychiatry at the Hospital Clinic of Barcelona, Spain, from 1993 to 1996, and, in 2002, achieved his PhD from the University of Barcelona with studies on the effect of depression on the progression of HIV-infection and on adherence to treatment. He also studied Philosophy in the University of Barcelona from 1987 to 1993. In 1997, Jordi Blanch started working at the Psychiatry Department of the Hospital Clínic of Barcelona. He has been chief of de Psychiatry Emergency Department from 2007 to 2009. Since 2009 he is the chief of the Outpatient Clinic of the Psychiatry and Psychology Department of Hospital Clínic of Barcelona. Chair for Educational Affairs of the Clinical Institute of Neurosciences in Hospital Clínic of Barcelona since 2009. In 1995, during the last years of his residency, he started to devote part of his time to take care of psychiatric and psychological disorders in severely ill medical patients (oncology, bone marrow transplantation, solid organ transplantation, and others), and, more specifically, in HIV-infected persons. He is member of the Organization of AIDS Psychiatrists and member of the HIV/AIDS Psychiatry Section of the World Psychiatry Association. He has been a founding member of the International Symposium on Psychiatry and HIV. 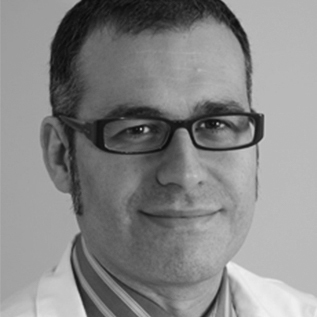 He has been co-author of the Spanish Guidelines for the Clinical Management of Neurocognitive Disorders associated to HIV-infection 2012He has also done research in the field of psychiatric and psychological disorders associated to HIV – infection. He has authored more than 50 papers and served regularly as reviewer for the following journals: AIDS Care, AIDS Research and Therapy, Antiviral Therapy, Clinical Infectious Diseases, Current HIV Research, Enfermedades Infecciosas y Microbiología Cínica, HIV Clinical Trials, HIV Medicine, International Journal of Psychiatry in Clinical Practice, Journal of AIDS, Journal of AIDS and HIV Research, Journal of Psychosomatic Research, Medicina ClínicaPsychitry Research, Psycho-Oncology, Psychotherapy and Psychosomatics, Stress. Esteban Martínez studied at the School of Medicine of Valladolid, Spain, from 1980 to 1986. He specialized in Internal Medicine at the Hospital de la Santa Creu i Sant Pau in Barcelona, Spain, from 1988 to 1992, and, in 1996, achieved his PhD from the Autonomous University of Barcelona with studies on neurosurgical infections. In 1994, Esteban Martínez started working at the Infectious Diseases Unit of the Hospital Clínic in Barcelona. Since 1996, he has devoted his time to caring of HIV-infected persons, and, from 2001, he has been teaching infectious diseases at the University of Barcelona as an Associate Professor of Medicine. He is member of the Scientific Board of the International Workshop on Adverse Drug Reactions and Co-morbidities in HIV, has been co-author of the Guidelines for the Prevention and Management of Non-Infectious Co-Morbidities in HIV (European AIDS Clinical Society), is a member of European AIDS Clinical Society (EACS) and was elected as Regional (South Europe) Representative for EACS in 2012, and has been a founding member of the International Symposium on Psychiatry and HIV. 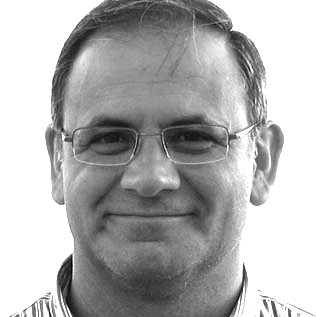 He is member of the Editorial Board of HIV Medicine, The Scientific World Journal and The Open AIDS Journal. His fields of interests span opportunistic infections (risk of and withdrawal of prophylaxis in the HAART era), simplification of antiretroviral therapy (switch studies), incidence and causes of death in HIV-infected persons receiving antiretroviral therapy, toxicity of antiretrovirals (indinavir-associated nepholitiasis, non-nucleoside-associated hepatitis, risk and management of dyslipemia), lipodystrophy (incidence, diagnosis, risk, and interventions), and non-infectious complications in HIV-infected patients (central nervous system, kidney, bone, and particularly, cardiovascular diseases). He has authored more than 200 papers. He has served regularly as reviewer for major journals on Medicine (New England Journal of Medicine, Lancet, JAMA, Annals of Internal Medicine, Medicina Clínica), Infectious Diseases (Clinical Infectious Diseases, Journal of Infectious Diseases, Emerging Infectious Diseases, Enfermedades Infecciosas y Microbiología Clínica), Chemotherapy (Journal of Antimicrobial Chemotherapy, Antiviral Therapy), and HIV/AIDS (AIDS, JAIDS, HIV Medicine, AIDS Research and Human Retroviruses).